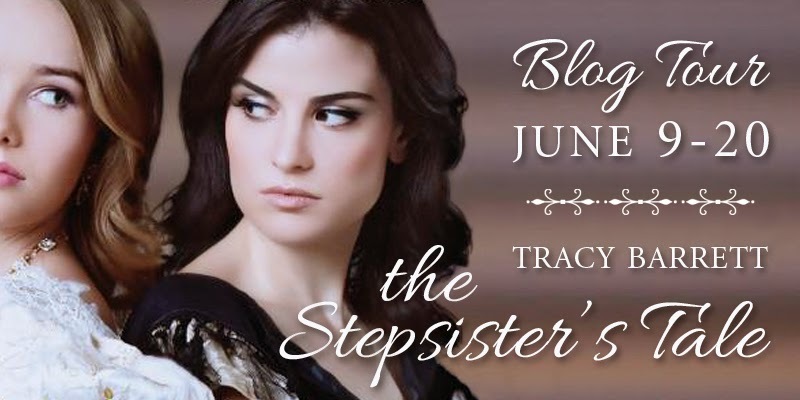 Welcome to the next stop in The Stepsister's Tale blog tour. I devoured this book within hours and if your a fan of fairy tales, retellings, or just awesome writing, then this is your book! 1. What are some of your favorite fairy tales? Do you prefer them dark like the Brothers Grimm? Or lighter like Disney? I like the spooky tales that the Grimms collected and I especially love the even older versions that the Grimms sweetened up for the sake of the children who were reading the stories. Those earlier tales are really crazy, more like nightmares than stories. 2. I love the idea of making people love characters that are traditionally hated. 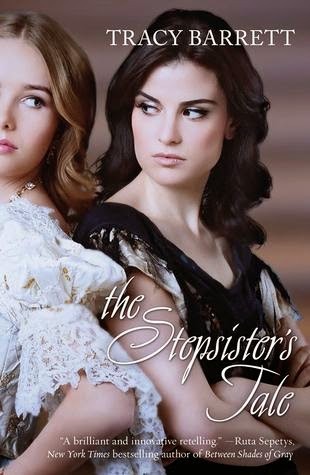 What made you write THE STEPSISTER'S TALE? The stepsisters in every traditional version of the story that I could find (and I found lots of them!) and even in almost every retelling, are caricatures of evilness while Cinderella is impossibly good and sweet and beautiful. Granted, a few truly evil people exist and so do some saintly ones, but I don’t find stories about people at those extremes terribly compelling, especially when no reason is ever given for their extreme personalities. This is probably one reason why Ella Enchanted is so wonderful—we learn just why Ella is ridiculously obedient. That humanizes her and we care more about her. At least I do! Blended families are very tricky, and Isabella in The Stepsister’s Tale isn’t the first stepchild brought into a new home who thinks that everyone is cruel to her and that she has to do more than her share of the work. I thought it would be fun to explore the other side of the story. Suddenly acquiring a stunningly beautiful family member couldn’t have been easy on her stepsisters either! 3. What other fairy tales would you like to rewrite? My next book—also with Harlequin TEEN—has the working title of Fairest: The Stepmother’s Tale. I bet you can guess what fairy tale it’s based on! 4. Any summer vacation plans or books you're excited to read? I want to cry whenever I think of all the books I’m excited to read, because I have so little time to read them! I don’t really take a summer vacation because now that I no longer have a day job (I was a college professor for a long time) I’m free to travel when other people aren’t around. My husband and I are planning a trip to Sicily in the fall. 5. What is something that people would be surprised to know about you? I used to be a skydiver! In fact, that’s how I met my husband (on the ground, not in the air—it’s a little hard to get to know someone when you’re falling at 120 miles per hour). He was a big famous skydiver who helped me pack my parachute, so I guess you can say that I literally fell in love! She holds a Bachelor's Degree with honors in Classics-Archaeology from Brown University and an M.A. and Ph.D. in Medieval Italian Literature from the University of California, Berkeley. Her scholarly interests in the ancient and medieval worlds overlap in her fiction and nonfiction works. A grant from the National Endowment for the Humanities to study medieval women writers led to the writing of her award-winning young-adult novel, Anna of Byzantium (Delacorte). 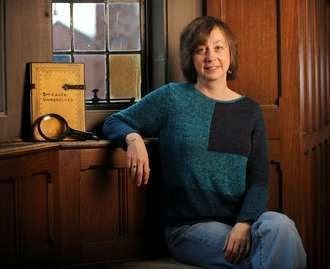 Her most recent publications are King of Ithaka, a young-adult novel based on Homer's Odyssey; and the fourth book in The Sherlock Files, The Missing Heir (both Henry Holt). In September, Harcourt will publisher her young-adult retelling of the myth of the Minotaur, Dark of the Moon. Tracy has taught courses on writing for children and on children's literature at various institutions and frequently makes presentations to groups of students, librarians, teachers, and others. For an example of Tracy's presentations at writers' conferences, please see this article from Clarksville Online. 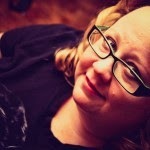 She recently resigned from Vanderbilt University, where she taught Italian, Women's Studies, English, and Humanities. Click here and herefor articles about her double life as professor and writer. She occasionally manages to combine her two "lives" as in her presentation at a conference on the Classics in children's literature in Wales in July, 2009. 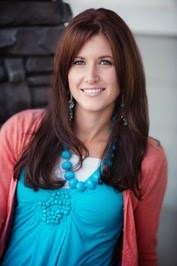 I am so excited to welcome my friend, Stacey O'Neale, onto the blog today to talk about her brand new series! 1. Have you always wanted to be a writer? What was the first thing you ever wrote? I never thought about writing as a career until about seven years ago. My parents have always been very practical, so I never thought anything like this was possible. The very first thing I wrote was poem to my seventh grade boyfriend. LOL! What draws you to the paranormal genre? Why did you decide to write a series about elementals? Can us a little bit about the MORTAL ENCHANTMENT series? 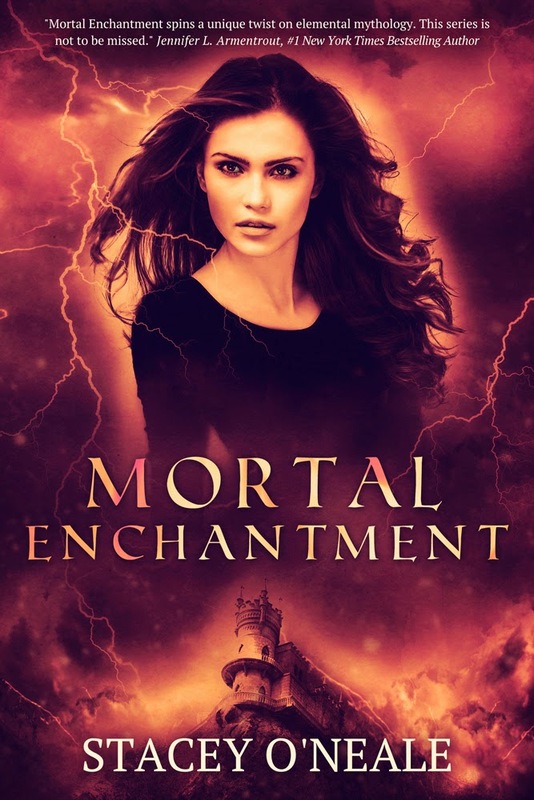 MORTAL ENCHANTMENT is a YA paranormal romance series featuring elementals. They live primarily in Avalon, but also interact in the mortal world. My series focuses around Kalin and Rowan. Kalin is the half elemental, half mortal daughter of the air court king. Rowan is the prince who walked away from the fire court crown. 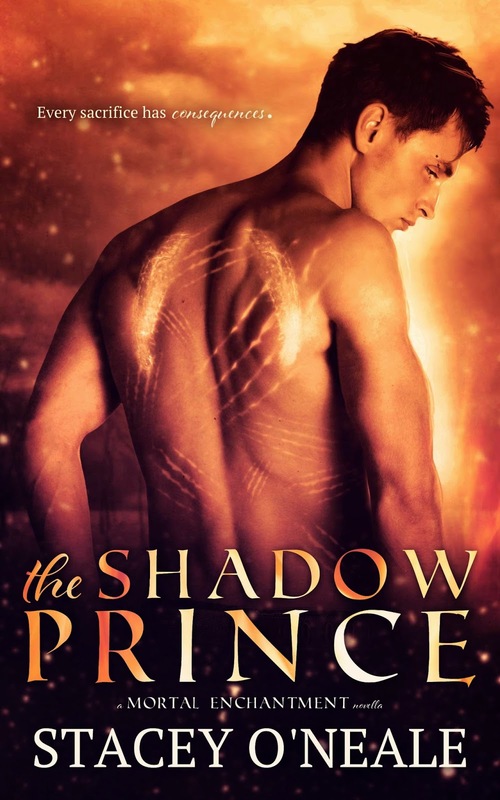 THE SHADOW PRINCE was written in his POV, while MORTAL ENCHANTMENT was written from Kalin's. 5. 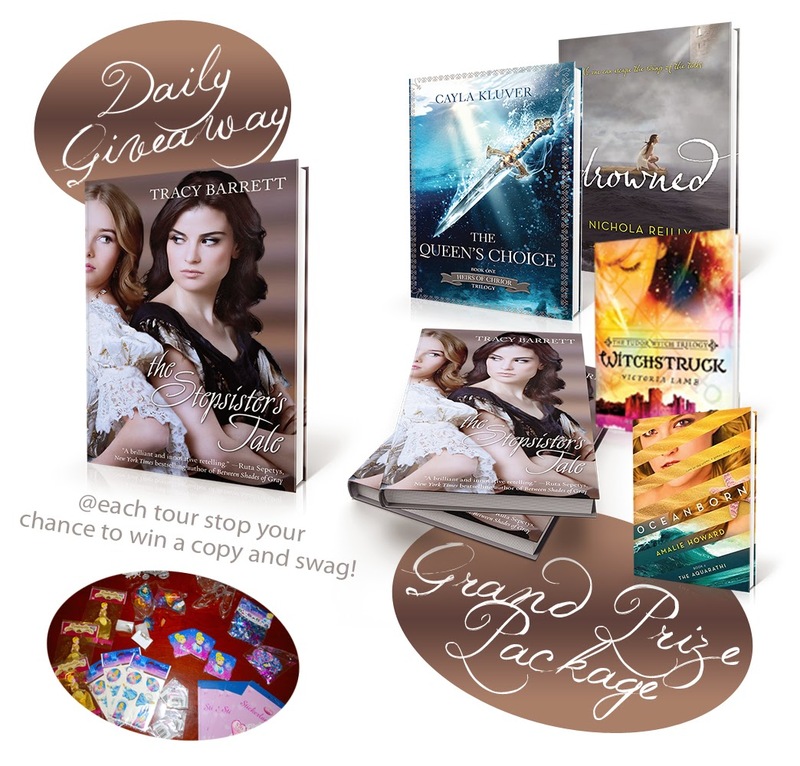 Can you share a teaser of MORTAL ENCHANTMENT with our readers? a. The best teaser is the prequel novella, THE SHADOW PRINCE. It's FREE on Amazon and Barnes & Noble. Also, the first chapter of MORTAL ENCHANTMENT is at the end of the novella. What was the hardest scene to write in MORTAL ENCHANTMENT? We first met Rowan in THE SHADOW PRINCE. Has he changed in any way from the prequel to now? If so, how? Yes, he has definitely evolved. He lost so much in THE SHADOW PRINCE. He's matured because of it, but also gotten a bit darker in MORTAL ENCHANTMENT. On the outside, he's developed his skills with weapons. When you add that in with his fire magic, I would say he's gotten pretty dangerous. Thursday morning came way too early, but nonetheless, the 5 women in my room scrambled to get out the door. My mom and aunt headed over to the taping of Live with Kelly and Michael while Jen, Gabrielle and I got our stuff together and headed to the Javits for day one of BEA. Thankfully we had all been invited to the Harlequin TEEN breakfast again this year - an event that was a big highlight for all of us last year. I cannot express my total and utter love for the folks at Harlequin TEEN. Not just the authors (although they're amazing, too), but Tashya, Lisa, Annie, T.S., Margo and Jennifer, you guys are rockstars and I adore you all. Any chance I can hang out with you, I will. Dawn Metcalf (such a doll) in addition to the fabulous people listed above. Plus we got an awesome tote - this was seriously the year of the tote for BEA goers - with copies of several books inside. After this, Gabrielle and I headed upstairs and got in line for the Harlequin signing that had Jeaniene Frost and Ann Aguirre amongst others. We took turns wandering around and jumping in and out of lines, popping by booths and saying hello to people. I loved how relaxed I felt this year - I didn't feel that overwhelming urge to hit every single signing ever. But that wasn't for BEA - that was for the #YAParty happening later that night. After a few more signings and wandering, we left and headed to the hotel to get ready for the MacKids Happy Hour. This is one of my favorite parties (possibly because it's hosted by one of my favorite people, Ksenia) and I loved that so many of my #YADC friends were in attendance. I was able to bounce around and mingle with some awesome people (OK, maybe not bounce since my foot was about to explode from pain), but then I had to duck out early with Andye (and Jen & Gabrielle) to help go get ready for the #YAParty. Last year I was a last-minute add on to an awesome party known as the "Rooftop Party" by Liza Wiemer - someone I barely knew at all, save for a few comments, tweets and emails. Fast forward to this year and Liza (and Andye) asked me to help them plan and organize the YA Author/Blogger Party. I had an absolutely blast and nearly bruised multiple ribs laughing while planning with these two, but the night of the party everything came together better than I think any of us expected. We recruited my mom and aunt (Gabrielle's grandmother) to help - they were the crazy ladies who checked people in and handed out name tags. So having them there with me was an added bonus. The party was a huge success. So many bloggers, authors, and publishers coming together for an awesome night of fun thanks to Liza. I finally had a chance to reconnect with a lady I absolutely adore, Cara Lynn Shultz (author of The Dark World), and we may have re-enacted a scene from Dirty Dancing that was filmed. 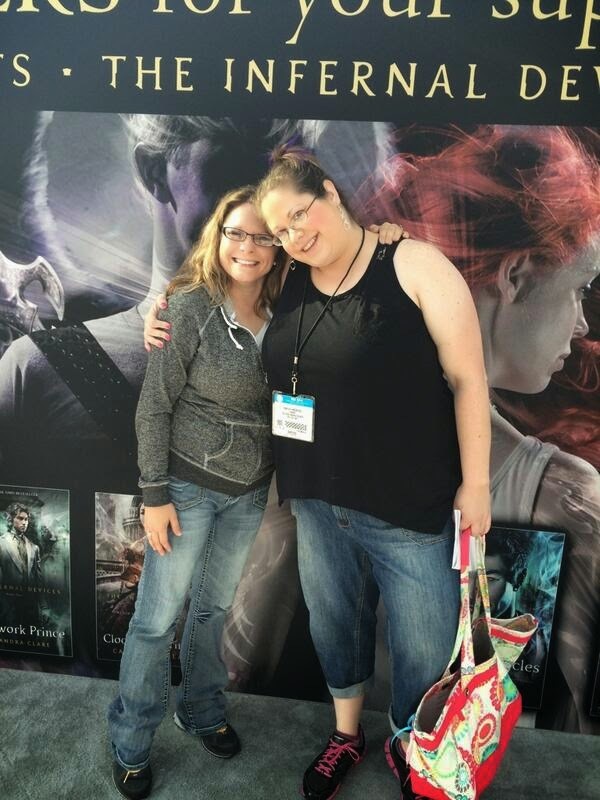 I learned some fascinating info from Michelle Madow (whose index finger is the same size as my pinkie), and was able to hang out with authors like Josephine Angelini, Amy Plum, Jennifer Armentrout, Danielle Ellison, and so many more! Friday was a fairly non-eventful day. We got to BEA and waited to get in line. As I was walking up, I was suddenly and violently accosted by a flying, tiny flying Mundie Mom. Katie won that round of tackle hugs (OK, she won the BEA Tackle Hug Battle, too). Meeting Katie was one of those amazing moments that make me so glad I started blogging because she is just such a sweet, genuine person. 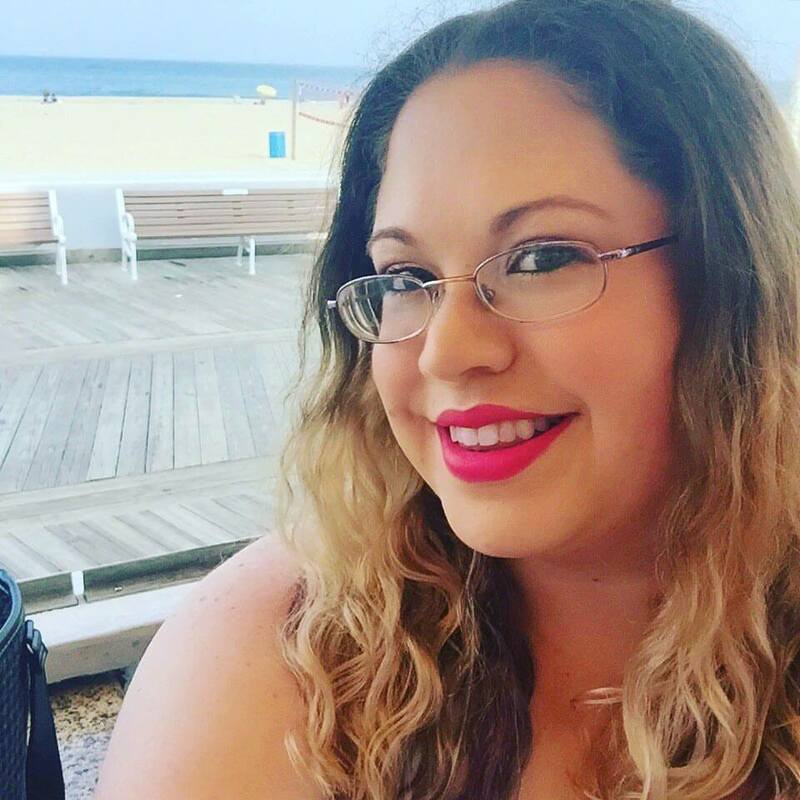 I bounced around from signing to signing, hanging out with Tara Fowler (Penguin) and Cassie McGinty (Disney) for a bit and chatting about blogging and some upcoming books they're excited about. I'm also starting to think being petite and gorgeous are prerequisites for being in publishing. I also found Julie Kagawa and got to hold 3 of the dragons in my hands ... I may have treated them with more care than I usually use when holding a baby. I also had the chance to attend the SimonTeen luncheon which was full of awesome authors like Martina Boone, Kresley Cole, Scott Westerfeld, Christina Lauren, and Becca Fitzpatrick. And I got to see local YADC author Miranda Kenneally as well as Kiera Cass. Finally Gabrielle and I left and went back to the hotel to meet up with our respective grandmother and mother and go to this amazing place called McHale's that we eat at whenever we're in the city. It's this awesome Irish pub with a great, relaxed feel and delicious food. But imagine our shock when we got the same waitress from last year. It may seem totally random that we knew our waitress - and even stranger yet that she remembered us - but as someone who worked in food service for years, I know a fantastic employee when I see one, and Anne is the standard I hold all my waitresses to. We totally made her take a picture with us before we left. After this we went back to the hotel and went to sleep. Little did we know how much we would need it for the day that was ahead of us. Oh. And I saw a ghost in my hotel room. Hello & welcome to today's cover reveal for Sara B. Larson's IGNITE! The second book in her Defy series. Check out this cover!!! What do you think of the cover? I love it! 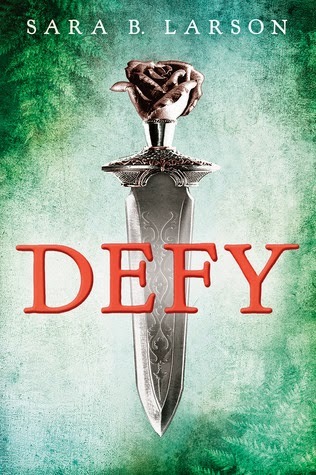 I think it's the perfect companion to DEFY's cover. I can not wait to read this book.